East County business owners are being warned about an ongoing fire inspection scam that could cost them hundreds of dollars if they are unaware of the fraud. Bogus contractors have cropped up in El Cajon, La Mesa and Lemon Grove, according to Heartland Fire & Rescue, which issued the warning Wednesday. “The ‘contractors’ running this scam show up at businesses saying they are from the fire department or that the fire department sent them to do a fire inspection,” Heartland spokeswoman Monica Zech said. But that couldn’t be further from the truth, according to Zech. 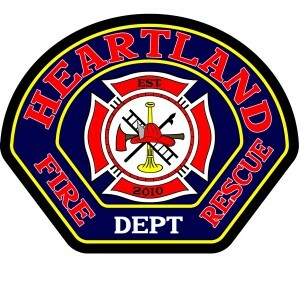 Since official fire inspections are conducted by either Heartland Fire & Rescue or the city, businesses should only authorize personnel dressed in Heartland Fire & Rescue uniforms or apparel with their city insignia. Fire inspectors should also show you badges and city identification to verify who they are. According to Zech, the fraudsters often wear clothing the resembles official apparel to trick unsuspecting victims of their scam. “If you have reason to doubt that an inspection is not being conducted by official personnel, please do not hesitate to call our agency at 619-667-1355 to verify employment,” Zech said. Wednesday’s warning further cautioned against signing any paperwork before a fire inspection is proven to be credible. Some companies running the scam have notices and waiver disclosures on their forms that, once signed, would authorize the scammer to enter your business, conduct a fraudulent inspection and charge you. During an official fire inspection, any violations or corrections are addressed in writing. Some corrections can be made by the business owner, while more complicated corrections must be made by a state licensed contractor or the business owner’s choosing.